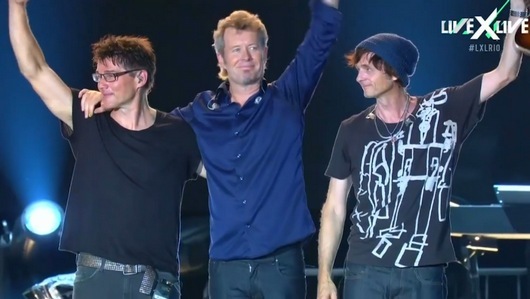 a-ha made a successfull return to the Rock in Rio festival on Sunday night, playing in front of 90,000 people at the Palco Mundo (World Stage). Although the conditions were difficult, with heavy rain coming down as a-ha entered the stage, they put on a solid performance that thrilled the Rio audience. 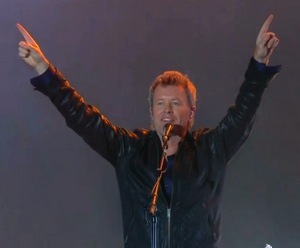 The concert was streamed live online by AOL. 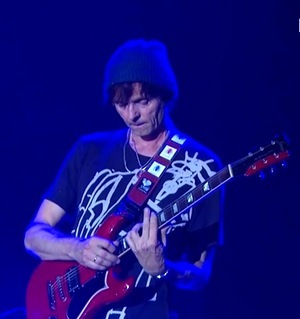 If you missed it, the whole show has been uploaded by a fan on Vimeo. “Tonight’s concert turned out to be completely different than the rusty viking ship that performed at the tour opening in Buenos Aires on Thursday night. 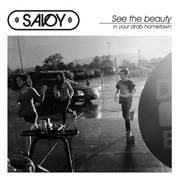 This time they appeared as a revitalized band. (…) Suddenly Morten Harket was more focused and quicker in his movements, instead of the slightly lazy frontman and vocalist we saw in Buenos Aires just a few days earlier. It seems like he’s struggling harder to reach the highest notes, but by all means – he gets there! The tour continues at the Cabana Club in Barcarena on 1 October and at Estádio Arena Verde in Paragominas on 3 October. These two shows, held in connection with Hydro’s anniversary, were originally only open for Hydro employees and contest winners. But due to high demand, both shows are now open for everyone. Tickets are free, but requires a donation of school equipment to local children. 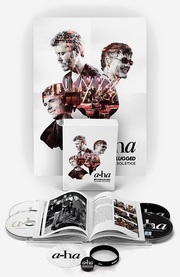 a-ha will reunite next year, to play a special 30th anniversary concert at the Rock In Rio Festival in September 2015, a-ha.com announced tonight. “We have been invited as so-called “special guests” at Rock In Rio 2015. We have been getting a lot of offers since we disbanded, but this was so unique that it was hard to say no”, Magne added to NRK tonight. “Money has not been an issue at all, as far as I know. There’s not much money involved in this, it’s just something all three of us wanted to do”, he says. Morten, Magne and Paul appeared at Maracanã Stadium tonight, to announce the news for the Brazilian press. A group of around 10 specially invited a-ha fans were also there to meet the band. 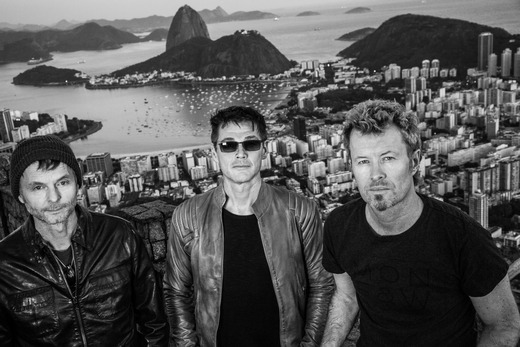 To read the whole press release and see new band photos taken by Just Loomis in Rio this week, visit a-ha.com and the a-ha Facebook Page.